If that is something that some wand makers do, then does Ollivander do that? According to the Harry Potter: The Wand Collection factbook, Nymphadora Tonks's wand was carved from two distinct magical woods, giving it a unique striped effect. Tonk's wand is carved of two different woods, with a striped shaft that opens into a jack-in-the-pulpit flower. In the entire series of Harry Potter, we have met European wizards utilizing Wands which have never been mentioned to have more than one wand woods, either in blended or different parts made of different wood form. However, the wand is a complex tool and there do exist Wizards and Witches who have gone past what Ollivander considered inconvenient or dangerous. For instance, Salazar Slytherin made his own Wand out of Snakewood and Basilisk Horn. 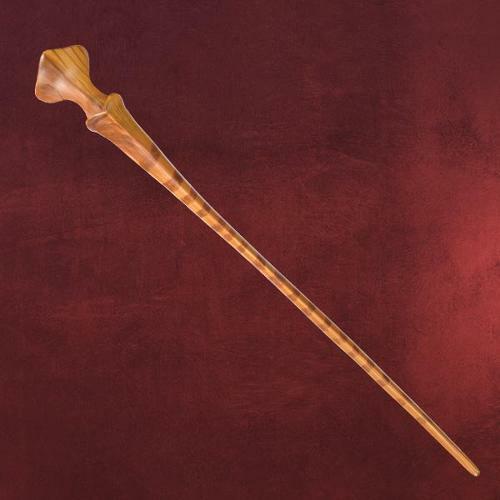 Thus, while Ollivander might not do it, there might exist some other wandmakers or people who have crafted wand with parts made from two different woods. Closer analysis and cross comparison with Pottermore reveals that some wand woods like Elder and Rowan share similar affinity traits and we can see that they are separated by only one month. Thus it might be possible to pair the two. Wands with similar affinity can be paired together. Not the answer you're looking for? Browse other questions tagged harry-potter magic wandlore or ask your own question. Do wands have to be made of wood in Harry Potter? What wizards and witches owned wands made of elder wood (besides the Elder Wand)?